All food and drink products sold in the UK are subject to a set of mandatory standards. These standards don’t just apply to the food (or drink) itself, as there are also several legal requirements attached to the packaging of goods as set out by DEFRA (Department for Environment, Food & Rural Affairs). Problems with the mislabelling of products within the UK have been identified in as many as a third of products tested, and some of you might believe this to be down to a lacking in DEFRA standards, so what exactly are the UK labelling requirements? 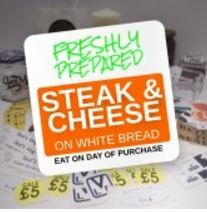 According to the legal requirements the front of any label must display quantity within, name of the food, any necessary warnings (such as allergy advice) and the best before/sell-by date (or you must display instructions on how to find the best before/sell-by date on the front of the packaging if you wish to display it somewhere else). Cooking instructions, name and address of manufacturer, packager or seller, ingredients and storage instructions must also be displayed on the package – although these can be displayed anywhere and do not have any specific legal requirements on the placement of this information. Labels for business are now as important as the contents of the packaging. An ingredients list must be present on the packaging if the product contains 2 or more ingredients – all ingredients must be listed and are to be listed in descending order of weight (main ingredients first). Percentages of ingredients are required to be listed if the specific ingredient is present in the name of the product, highlighted by a picture or labelling, or if it is an ingredient that a consumer would usually expect to find within in the product. Allergy advice is also a strict legal requirement on packaging, and there is a long list of ingredients that must be clearly pointed out on the label as an allergen. Consumers are often focused on supporting the local economy or that of the country so many brands choose (And in some cases are required by law) to clearly display the country of origin labels on their packaging. 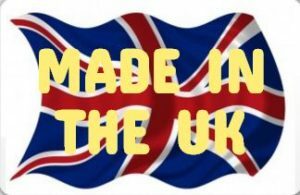 It clearly identifies that the person making the purchase is choosing to spend their money on local or nationally produced products. So the requirements set by DEFRA are clear, stringent and don’t leave much room for interpretation, and there’s good reason for that. The mislabelling of products (both food and drink) can lead to adverse health problems in some people. The most common example of this is a lack of allergy advice displayed on a product or an ingredient being left off the list which could lead to anaphylactic shock. There are certain ingredients that warrant the manufacturer placing a warning on the label to alert people of any potential adverse effect from consumption; these include E129 which ‘may have an adverse effect on activity and attention in children’, and Polyols which may cause a laxative effect if consumed excessively. 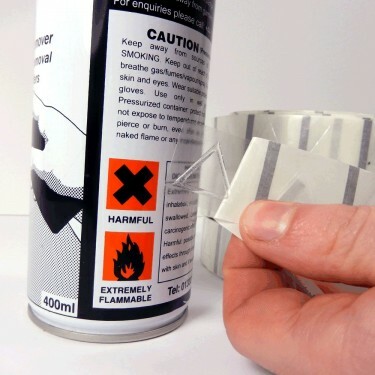 Many products should display a warning triangle sticker to alert the buyer that the contents are potentially harmful. Testing was conducted on hundreds of products by West Yorkshire council and their findings were rather alarming. Among the long list of mislabelled, and even illegal products was a ‘herbal slimming tea’ that was identified to actually contain a withdrawn prescription drug at 13 times its regular dose; if consumed in large enough quantities this ‘tea’ could lead to various health problems. Also in the list of findings was a fruit juice containing additives that are banned all across the EU. One of the additives found was brominated vegetable oil; an additive originally designed to be used in flame retardants that have been linked to behavioural problems when given in high doses to rats. There are also many examples of counterfeit vodka being mislabelled with custom labels and sold in shops. Many of the counterfeit vodka samples revealed the vodka to have been produced using isopropanol (which is used an industrial solvent and in antifreeze) instead of being derived from produce as the regulations require it to be. Isopropanol, and other chemicals commonly found in counterfeit spirits can give the illusion of ethanol-based alcohol by giving some of the same effects (such as the feeling of becoming tipsy) but are in fact much more potentially dangerous than legal ethanol-based spirits. Some of the most common health problems associated with the consumption of many of the chemicals found in fake spirits include nausea and vomiting, dizziness, abdominal pain and drowsiness. More serious side effects can lead to kidney and/or liver problems or even a coma. Methanol, a chemical commonly found in counterfeit vodka, is one of the most dangerous chemicals and can lead to irreversible and life-changing adverse effects such as permanent blindness. Following up on evidence of mislabelling found by institutions and testing facilities falls to the local council where the product was made – thorough and regular testing of products is only the first step towards stopping the high number of mislabelled products from making it onto our shelves. Packaging, manufacturing and marketing companies can greatly profit from the mislabelling of products, using bright, full-colour labels to lure us in and consume a product that is incorrectly labelled, endangering both our health and our trust in certain brands.